Bistox is an advanced semi-decentralized cryptocurrency exchange that incorporates the NEM blockchain technology. It is designed for traders with varying levels of knowledge. Bistox features decentralization technology, dividing the resources into parts and operates them in different physical and cloud locations all over the world. Bistox’s token, BSX, will be sold in an ICO that will take place after 2 months. The exchange is powered by NEM, the world’s first “Smart Asset” blockchain built with businesses in mind. “When choosing the platform, we took into account the speed of transactions, the scalability and the safety of procedures. 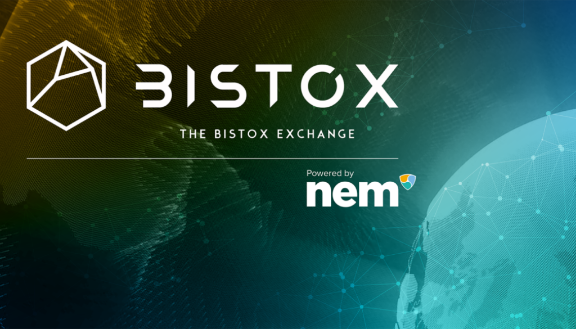 Therefore, we selected the flexible and fast NEM platform that addressed and resolved all the limitations and drawbacks other blockchains had,” said Bistrox’ CTO, German Sidorenko. The team is led by NEM Council Member, Nelson Valero, and Solution Architect and Technical Trainer, Shin Tatt Wong, to disrupt the industry by building a semi-decentralized exchange. Bistox prides itself with its 24/7 customer service. The Bistox support team consists of well-trained specialists who are available round-the-clock, along with the world’s best internet security experts. 1.Trading fees - While conducting any payments on the Bistox crypto exchange platform, customers would be charged fees for the participation. 2.Listing fees - Any new project that would be registered on the Bistox platform would be charged a special fee for being listed. 3.Withdrawal fees - Once a person or a corporate enterprise wants to remove money from the Bistox e-wallet, he/she would be charged with a withdrawal fee. 4.Margin trading fees - Traders who will be involved in marginal trade and will consequently have the margin account will have to pay the interest rate. 5.Social trading fees - Social trading would help novice traders to feel as if they were experienced traders.